Dove prisms have an unusual and very interesting characteristic-if you look through the prism and rotate it around a longitudinal axis, the image rotates through an angle twice as much as the prism. Top surface is ground. 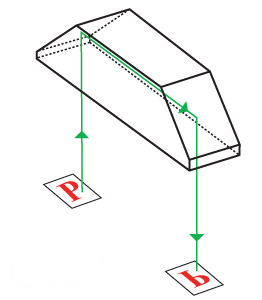 Dimension B is an unbeveled sharp edge.